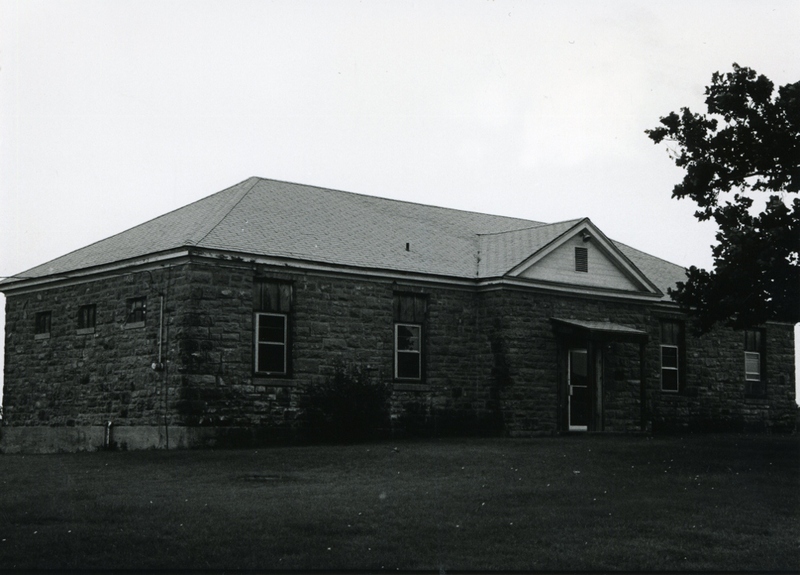 The old Grantham School is a single-story, rectangular (69′ x 29′) structure constructed of rusticated and coursed native stone. It has a hipped roof with a central front gable. 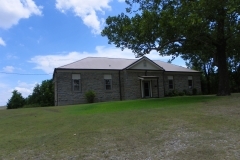 The main entry rests under the center gable. An exterior stone chimney is centered on the rear wall of the building. Window openings with pre-formed concrete sills have been filled with wood inserts and aluminum sash windows installed. A wood porch cover has also been added at the front entry. None of the alterations affect the integrity of the school. 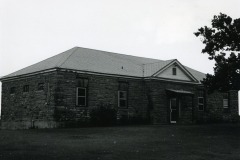 The old Grantham School is significant because its construction provided jobs for many unemployed laborers and drought-stricken farmers. 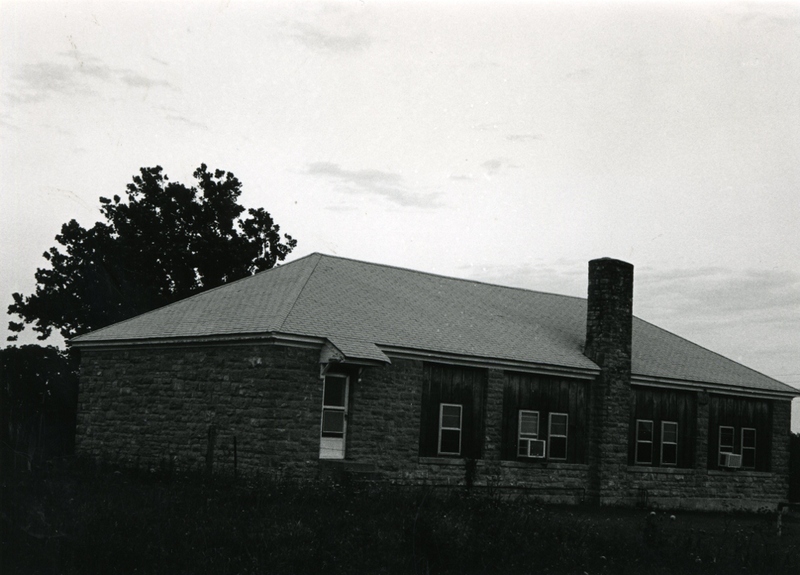 Its construction occurred at a time when the district could not afford to build such a structure without federal help, and it provided a modern facility conducive to learning and growth. Architecturally, the structure is unique within the area in terms of type, style, workmanship, and materials. 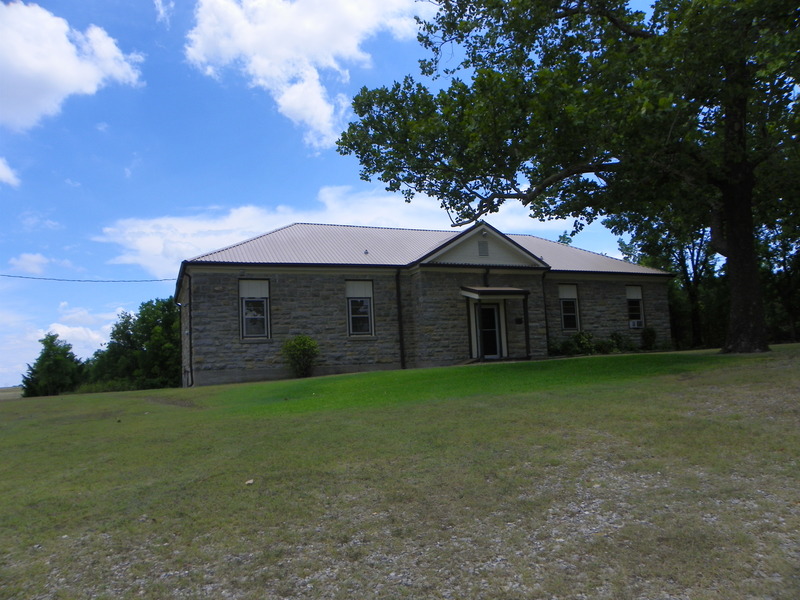 VERBAL BOUNDARY DESCRIPTION: Go some four miles east of Madill on State highway No. 199 and one mile north on a county road to property that begins at a point 150 feet west of the NE corner of the NW 1/4 of the NE 1/4 of Sec. 30, T 5 S, R 6 E, thence west 208 feet, south 416 feet, east 208 feet, thence north 416 feet to the place of beginning.